The military trend is a constant A/W favourite. This year I feel the look is being taken literal with camo print flooding the high street and hints of war time nostalgia. 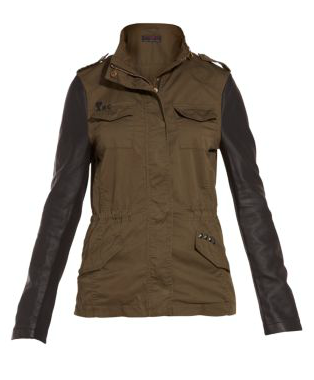 After seeing the military jacket with leather sleeves on a few people I decided this jacket was for me. The price tag was a bit steep but I tried it on at my local store and decided I would purchase on payday. As I should announce I'm leaving my job at New Look ( :( ) to enter full time work for a little while. This means my discount will be stopped. With this I have cheekily abused the discount the past two weeks. When online shopping to see what will be coming in to store I spotted that New Look had created a version. The day I decided to go shopping, by some sort of co incidence the jacket had come in on new line, AND surprise surprise a size 18 was in on delivery. 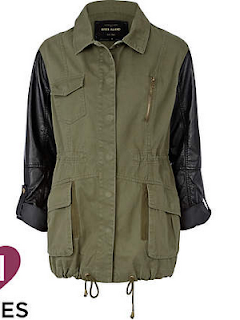 This to me meant fate so I purchased the jacket with my uniform discount so ending up paying £22.49 for the jacket. The sleeves has a material paneling underneath the leather which is hidden. I like this feature as it adds comfort to the sleeves and gives them a bit of stretch ( for my bingo wings). 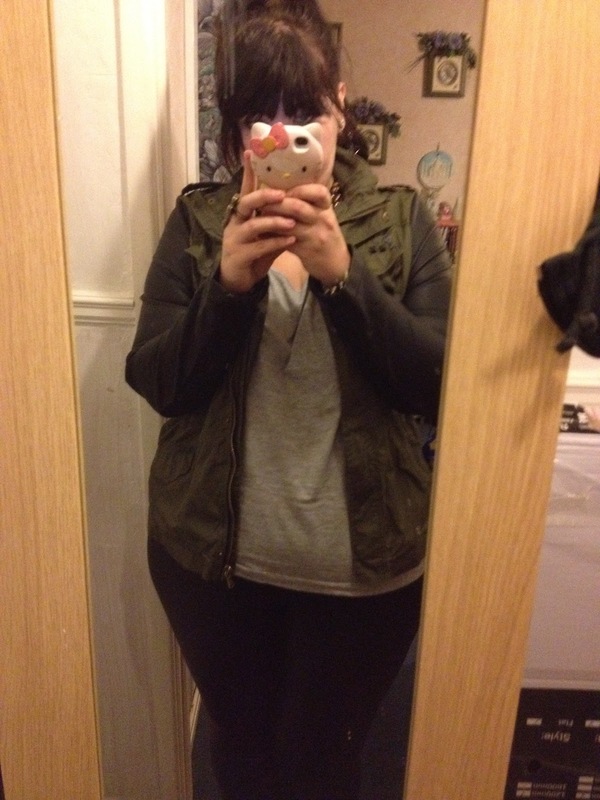 The jacket it's self is fitted and hugs the right places for my curves. This gives it a feminine touch which I adore. There's zip features and stud features on the collar and pockets. I'm going to add my own studs to it to customise it a bit more to my taste but the jacket overall is not only worth it with my discount but I'd probably purchase this jacket at full price. I can see me wearing this jacket constantly teaming it with floaty dresses or my new ASOS curve matte finish leggings ( review coming up shortly). 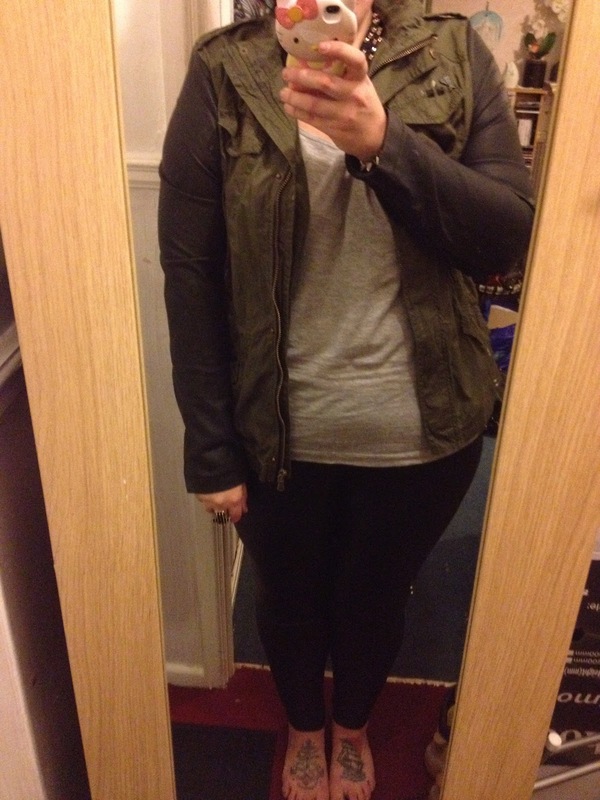 It's such a versatile jacket to welcome Autumn and winter in nicely to my wardrobe.